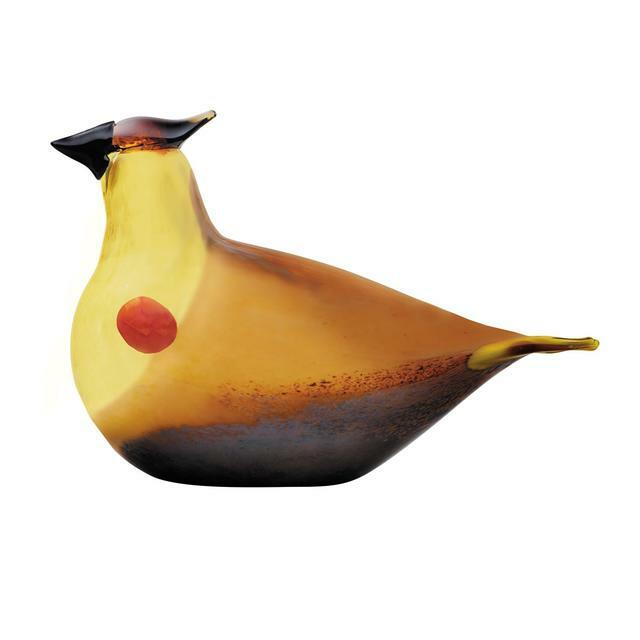 More about iittala Toikka Cedar Waxwing Oiva Toikka immortalizes the Cedar Waxwing in honor of FinnFest 2015, forever capturing its beauty in glass. Only 300 of these special edition birds have been blown. Like its inspiration, his creation flaunts the namesake red spot on its wing and a tail dipped in luminous yellow. A crest and black, mask-like break adds to the majestic look of its sleek silhouette. Limited edition, each mouth-blown piece is etched with "FinnFest 2015 O. Toikka IITTALA" to remind you of its special story.